Nana Kofi Acquah (@africashowboy) fuses his journalism and advertising past into his work across Africa, with the hope to help re-position the continent through new visual imagery and discourse. He is a member of the Instagram group @EverydayAfrica, an Assignment photographer for Getty Images, and the first recipient of the Tim Hetherington and World Press Photo Fellowship. Nana lives in a tiny village on the hem of Accra’s North Atlantic Ocean with his wife Gloria, their 3 children and 2 dogs. When we met Mr. Adam at his home in the village of Wantugu he told us he did not know his age, as his father never claimed a birth certificate and as soon as he was old enough he went out with the cattle into the bush, until he was about 15 years old. Without a school education he learned English and how to read and write by following his friends who were going to school. At some point he bought his first camera and started taking pictures for people in the region. He has photographed for some 15 years during the 60s and 70s. He is a father, a grandfather, and farms his own lands. Evans Ahorsu is a photographer who focuses his lens on humanitarian and social issues that are often overshadowed by news of the day. He loves nothing more than living life through his camera lens, capturing every essence of beauty of his subjects and telling their unique story. He is the founder and creative director of Treyz Kapture Studio. Dennis Akuoku-Frimpong is a documentary photographer who lives in Accra, Ghana. He uses photography as medium of visual documentation for tomorrow’s historian. He has in-depth interest in the diversity of culture, rituals and religious practices across Africa. He is currently working on his project "I Am Hindu". 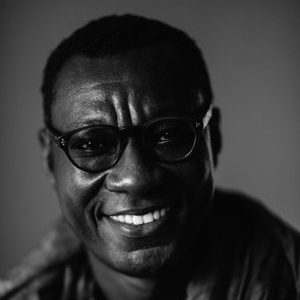 Dennis is a member of Nuku Studio, and a member of the African Photojournalism Database (APJD), a project of the World Press Photo Foundation and Everyday Africa. Find out more! Misper Apawu (23) is a student of the Lensational Ghana programme. She studied Marketing at Ho Polytechnic. She likes sports: swimming, playing tennis and soccer. She got into photography because she would like to stand out among her peers, and learn how to use photography to communicate to the world, to express herself through photography, and to promote sports. Mavis Daisy Apawu (23) is a student of the Lensational Ghana programme. She likes designing, taking selfies and cooking. She studied Industrial Design in Ho. She participates in the programme because she wants to learn how to capture good images and improve her knowledge about photography, to use it in the field of design and fashion. Born in 1929 in Ghana, James Barnor experienced first-hand his country’s independence as well as the formation of the diaspora to London in the 1960s. In the early 1950s, he opened his famous Ever Young studio in Accra, where he immortalised a nation craving modernity and independence in an ambiance that was animated by conversation and highlife music. He was the first photo-journalist to collaborate with the Daily Graphic, a newspaper published in Ghana by the London Daily Mirror Group. In 1959, James Barnor left for London. Towards the end of the 1960s he was recruited by Agfa-Gevaert and returned to Ghana to set up the country’s first colour laboratory. There he stayed for the next 20 years, working in his new X23 studio as an independent photographer and for a handful of State agencies in Accra. Today, James Barnor lives in the UK devoting most of his time to his work, in a spirit of transmission. Geoffrey Buta is a multiple award-winning photojournalist based in the Northern Region of Ghana where he has been working on developmental stories since 2011. His work has taken him to all parts of the country, especially rural communities in Northern Ghana, and other West African countries. 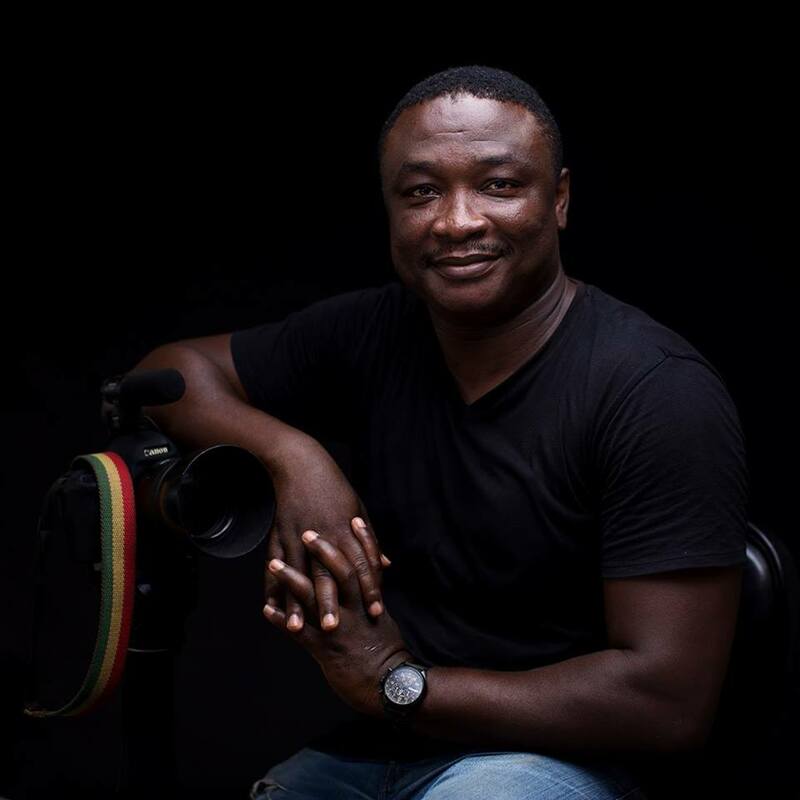 He is the first Northern Ghana photojournalist to win an award from the Ghana Journalist Association and one of a few Ghanaian photojournalists who covered the entire region documenting developmental stories in rural communities for social change. He has won several awards including Thompson Reuters Foundation/Nokia Photo Award 2013 and Human Rights Photography in Africa (People’s Choice Award) organised by German Development Media Awards/Deutsche Welle. In 2015, Geoffrey Buta organised a photo exhibition as part of International Women Day, and in 2017, he held his second photo exhibition as part of his foto4change project to build a six-unit classroom and a teacher’s office in Zagyuri in Tamale. He is a part-time tutor at the Tamale Technical University, where he teaches photojournalism. Robert Charlotte was born in Martinique in 1966. He has been passionate about images since childhood. He studied photography in Paris (1986-89), where he stayed to work in a studio for 10 years. It was there that he refined his photography practice. Back in Martinique, he developed a strong interest in painting and painters and an increasingly pictorial photographic art. Robert focuses on producing portraits, which powerfully express the collective history of places and individual trajectories, especially in the Caribbean. His work has been shown in numerous exhibitions ("Under Influence", "Visions Archipéliques"), and publications. 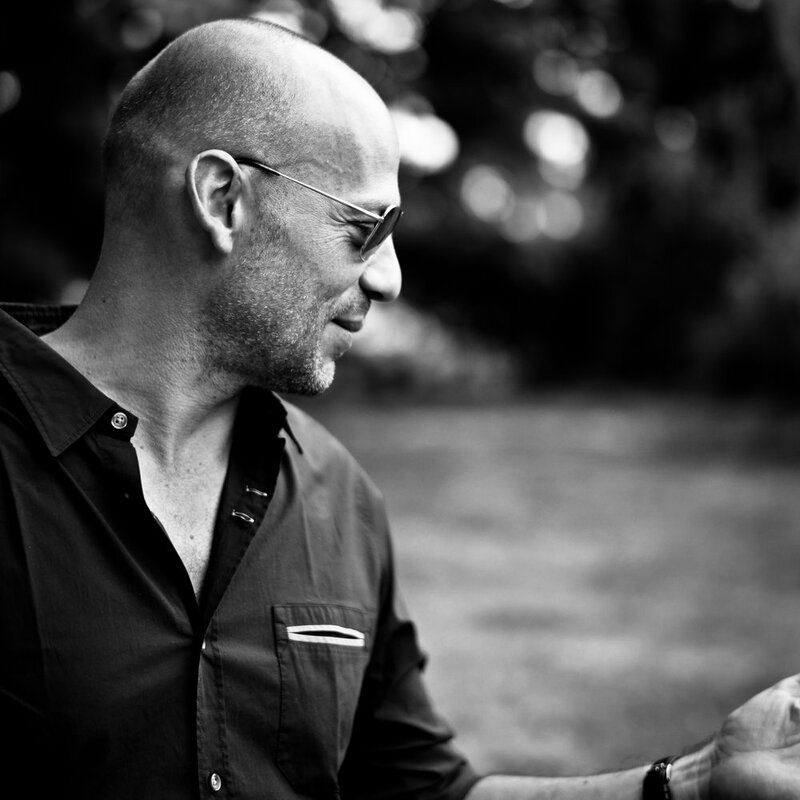 Robert is photographer-in-residence of the Nuku Photo Festival - his first stay in Africa. Other projects her currently works on include "Garifuna and Descendants Saint-Vincent". Peter DiCampo (1984) is a documentary photographer whose goal is to contribute his work to a dialogue on international development and perceptions of Africa. He began his career as a Peace Corps Volunteer and a traditional photojournalist—now, his work seeks to deconstruct that experience. He is a co-founder of Everyday Africa, the Instagram-based project that has blossomed into a global phenomenon, and he is a regular speaker in classrooms and workshops on media stereotypes and the promotion of localised storytelling. He was among the first recipients of the ImpactAFRICA grant in 2017 and was on the jury of the first AddisFotoFest Awards in 2016. He is based in Nairobi and Seattle, where he is currently a 2018 Town Hall Seattle Artist in Residence. 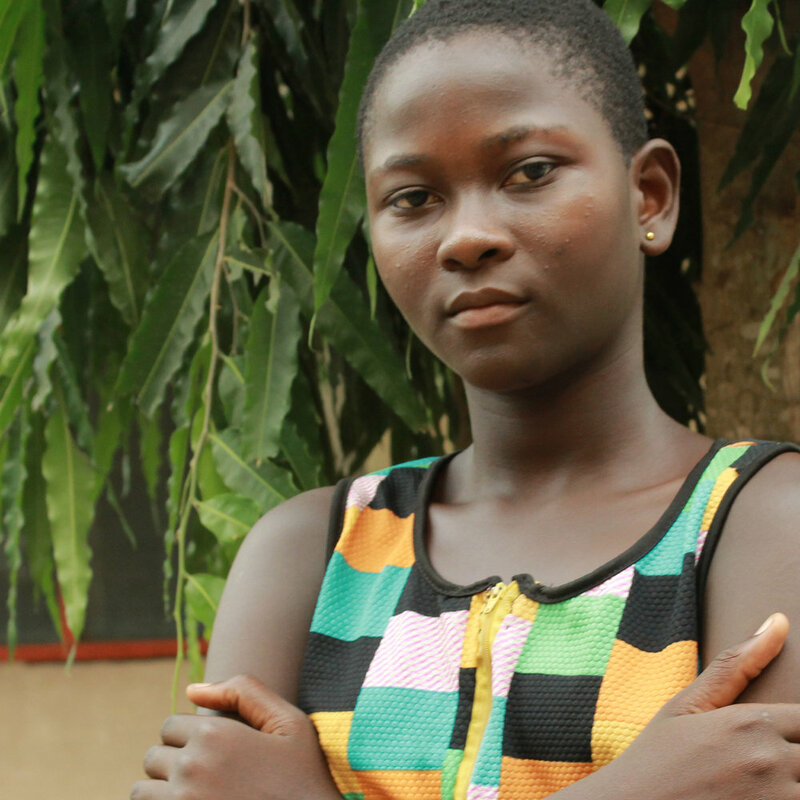 Felicia Donkor (14) is a student of the Lensational Ghana programme. She goes to Junior High School in Ho. She likes watching TV, and studying with friends. She wants to learn more about cameras and how to snap photos well to help people create memories. Florence Ama Geyevu (28) is a student of the Lensational Ghana programme. She is from Keta and now lives in Ho to study Computer Science. She likes singing, reading, cooking and sports. She enjoys learning photography. She wants to use photography to help girls who do not have easy access to such opportunities to develop their creative skills. Natalija Gormalova is a documentary photographer and filmmaker born in Latvia in 1987. She studied MA Photography at the Royal College of Art in London. Since 2015 she has been working in Ghana and South Africa. In her photographic works Natalija focuses on social issues and shifting cultures and identities in contemporary Africa and beyond. Her work has been exhibited at the 4th Thessaloniki Biennale of Contemporary Art in Greece, Folkestone Fringe Triennial in the UK, “Altitude+1000” Photography Festival in Switzerland, and Ghana Portrait Prize. Recently, Natalija has co-directed and filmed her first feature documentary about the youth in the fishing villages of Ghana that has been broadcasted on TVNZ on Demand. Eric Gyamfi (1990, Ghana) is an artist living and working in Accra, Ghana. He has a B.A in Information Studies and Economics from the University of Ghana. A grantee of the 2016 Magnum Foundation Emergency Fund, Eric is currently a Third-year fellow at the Photographer’s Master Class. He is also pursuing a Masters in Fine arts at the college of art and built environment, Kwame Nkrumah University of Science and Technology. Eric’s work, mostly long term oriented, touches on many aspects of Ghanaian social life, predominantly on the lives of alleged women witches Gambaga, in northeastern Ghana, and another on documenting queer life and spaces in Ghana as well. The later having evolved into a more expansive body of work now incorporating the responses of audiences to the ongoing work itself. Public opinion and reactions are freely interwoven with the work itself allowing space for direct engagement and collective introspection. In more recent works, Eric takes a more inward looking approach to talking about home, meaning of family and how memories are made. He had several exhibitions in Ghana and has been featured in publications such as The Huffington Post and the New York Times. Find out more! Francis Kokoroko (1987, Ghana) is a freelance photographer/artist living and working in Accra, Ghana. Francis has a B.Sc. in Computer Science from Ashesi University College. Francis found his love for image making after studying Projects in Photography at the New York University Campus in Accra - a programme run by artist Lyle Ashton Harris. He has participated in the World Press Photo West African Master Class (2017). Francis has a keen interest in documenting the upbeat everyday life on the African continent and its ever evolving cultures. He currently works on long-term projects for Reuters Wider Image, and has amassed a huge following on Instagram via his @accraphoto account that chronicles his encounters in Ghana and his journeys through the Africa continent. Francis’ work has been exhibited at Addis Foto Fest 2016 and LagosPhoto 2017. Find out more! Benedicte Kurzen (France, 1980) is a freelance photojournalist and a member of NOOR agency. Since 2012, she is based in Nigeria. Her impulse to photograph began with an urge to confront the troubling realities of our world. Bénédicte holds a master’s degree in Contemporary History (Sorbonne, Paris). After a brief passage in the Middle East, Benedicte has provided in-depth visual coverage of conflict and socio-economic change in the African continent, over the past 12 years – always guided by a clear sense of ethics and long-term commitment. In South Africa, she explores some of the deepest social challenges of the post-apartheid society, among which, “Amaqabane”, on the life of former anti-apartheid combatants is produced for prestigious World Press Joop Swart Masterclass 2008. In 2011, she received a grant from the Pulitzer Center for “A Nation Lost to Gods” on Nigeria's ethnic-religious violence. It has been screened and exhibited at Visa pour l’Image and nominated for the Visa d’Or in 2012. In 2015, she became adjunct lecturer at the American University of Nigeria. Her latest work, started in 2014, examines the effects of violence in the Lake Chad Basin, as well as the resilience of its inhabitants, for which she received a grant from the European Journalism Centre. Ruth McDowall is a New Zealand born photographer. She studied fine arts at Elam art school Auckland, New Zealand. In 2008 she travelled to northern Nigeria, creating a project teaching street kids photography. Her documentary photography started from these initial years immersed in the city of Jos. She has now lived in Africa for 7 years. In 2015 she received a Photo Reporter Grant to complete a project about youth that escaped abduction by Boko Haram in Nigeria. This project was selected as Times best 10 photo essay of the month, a finalist in Lensculture visual story telling awards 2015, and featured on New Yorker Photo Booth, National Geographic Proof and Raw View magazine. Some of her clients include Time, Newsweek, Telegraph, Der Spiegel, Sierra, L’OBS, Elle, The Guardian, Le Telegrame, IO Donna, and Jeune Afrique, Heinrich Böll Foundation, Al Jazeera magazine, Buzfeed, Glamour,UNESCO, Action Aid and UNICEF. Realising the limits of photography she also continues her work with street youth in Nigeria (www.murmushiphotoproject.net). Marcos Moreno, proud father of two girls and a husband trying to look smarter than his wife, is a Mexican diplomat currently stationed in Accra, Ghana. Passionate about social development and migration, he intends to portray people’s legitimate interest to strive for a better life. Find him on Instagram @photo.marcosmoreno. Gerard Nartey (1988, Ghana) holds a Bachelor Degree in Communications from the African University College of Communication with a major in Visual Communications. 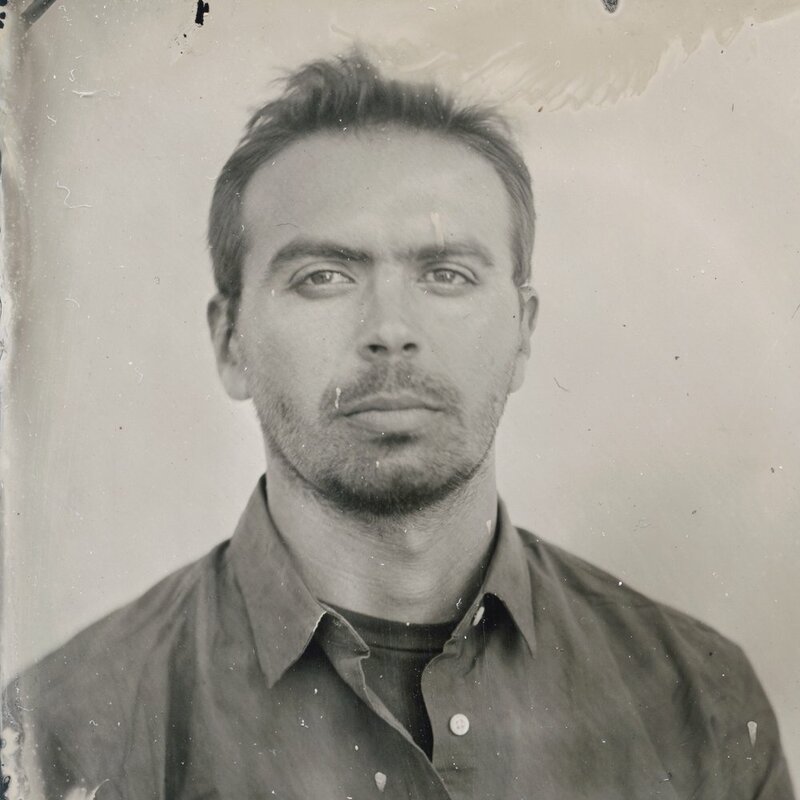 He has been photographing for 11 years, and has a strong interest in the lives and culture of people from different geographic regions and their landscapes as well as how their landscapes influence their livelihood and lifestyle. Gerard is also affiliated with Nuku Studio. 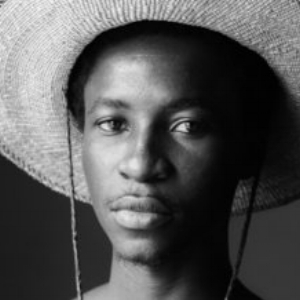 Amilton Neves is a professional photographer based in Mozambique whose work examines contemporary societal issues using storytelling and documentary techniques. His past and current projects focus on addressing perceptions of individuals who find themselves at the margins of society through narratives of empowerment while preserving often forgotten aspects of our modern history. Amilton has participated in training courses at the Sooke Photography School in Canada and Nuku Studio in Ghana, and has been prominently featured several times at the Franco Moçambicano Cultural Center. His work has been exhibited in Mozambique, Ghana, Portugal, Brazil, Ethiopia and Canada. In addition to pursuing his independent projects, Amilton also works as a freelance documentary photographer throughout Africa. 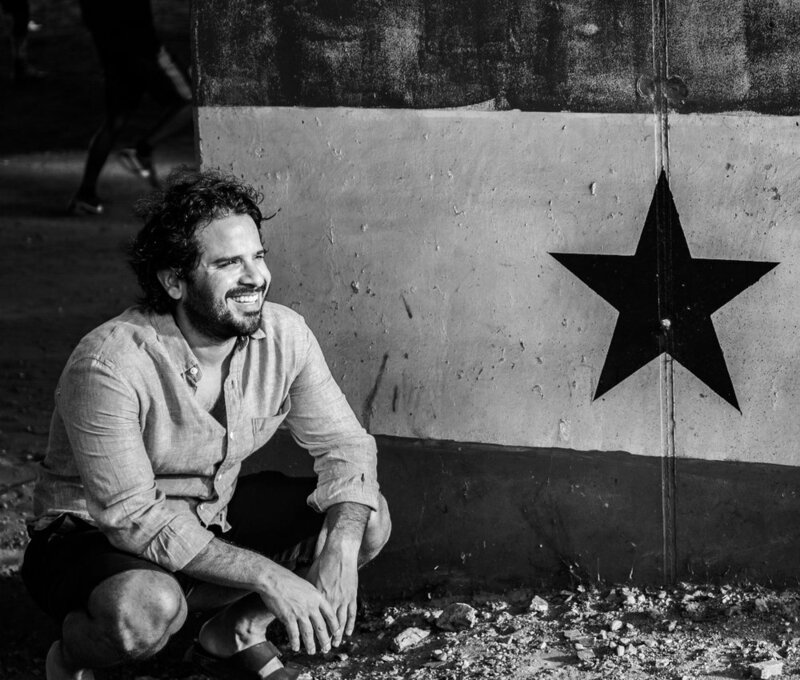 Seton Nicholas is an Accra-based photographer who works predominantly in black and white. He first became aware of photographs as more than just “random snapshots” when at about ten years old he discovered a box of some old family photographs. “The photos had mostly belonged to my grandfather who passed away several years before I was born and were shot between 1925 and I imagine the late sixties. Most of them in the Gold Coast/Ghana, Nigeria and Sierra Leone. I spent hours hours in that garage over the photos amazed at the little pieces of history that I had scattered around me and intrigued by how they documented my grandfather’s life and so my fathers and by that mine. I think because of that, posterity plays a pretty central theme in my work. I describe my work as a kind preemptive strike at mitigating loss. Of preserving, documenting, celebrating, even questioning life around me and the spaces and times we’re living it in.” He started making photographs in 2007, and in 2013 switched from digital to almost exclusively shooting analog. Francis Nii Obodai Provençal is a photographer based in Accra, Ghana and Maputo, Mozambique. His photography investigates aspects of the complex relationships within urban and rural culture, recording the dynamic reality of our spirituality and environment, telling stories of the people he connects with. He has exhibited widely, including Addis Foto Fest (Ethiopia), Solomon R. Guggenheim Museum (New York, USA), Rencontres de Bamako (Mali), Alliance Française Accra (Ghana), Victoria and Albert Museum (London, UK), Moesegaard Museum (Aarhus, Denmark). Nii Obodai is a founding member of the Accra based Beyond Collective. In 1998, Nii Obodai established Nuku Café in Accra which has now evolved into Nuku Studio. Find out more! Nii Odzenma is a photographer and artist based in Accra. One of this personal projects is about working with artists and documenting their works, including Serge Attukwei Clottey. As a documentary photographer, people and their stories inspire him. In 2013, he was part of a group exhibition tilted “MUSES” at the Goethe-Institut Accra. 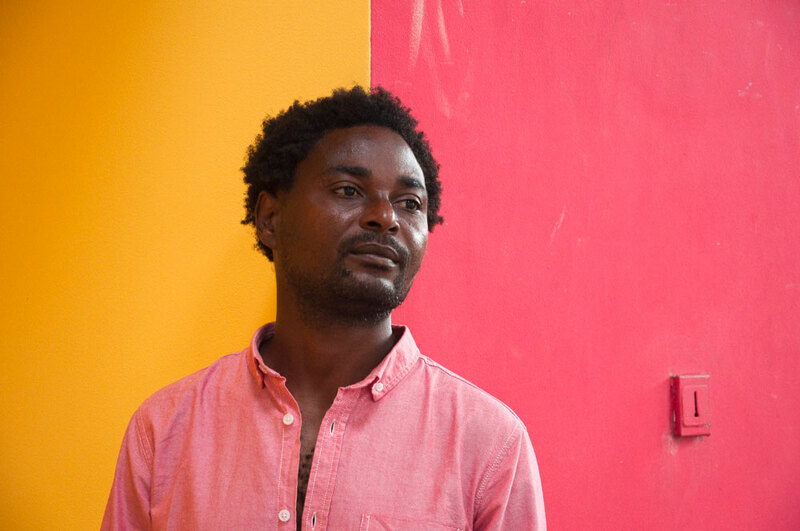 His images were exhibited at Palaver Hall in Cape Coast Castle in 2017, as part of an installation by Kwame Akoto titled “In Memoriam: PORTRAITS OF THE MIDDLE PASSAGE IN SITU”. Derrick (Deryk) Owusu Bempah is a Ghanaian art photographer living and working in Ghana. He completed Kwame Nkrumah University of Science and Technology with First Class Honors in BFA Painting from the Department of Painting and Sculpture, BlaxTARLINES KUMASI, project space for contemporary art. Amongst others, he was one of the top ten finalists for the 2016 Kuenyehia Prize for Contemporary Ghanaian Art and was awarded the 1st runner up prize. He has taken part in many exhibitions and workshops including the Johannesburg Art Fair, South Africa; “Orderly Disorderly” Museum of Science and Technology, Accra; “Cornfields in Accra” exhibition, Museum of Science and Technology, Accra; “If you love me…” exhibition held in Kumasi, Ghana; 89plus portfolio review at the Nubuke Foundation. A documentary photography workshop with Gael Turin. 2018 Creative Accelerator Programme of the Kuenyehia prize for contemporary Ghanaian art. “The Gown must go to town” exhibition, Museum of Science and Technology, Accra and “Memory and Amnesia: In the Presence of Absent Futures” in the KNUST Library, where he donated an edition of his work titled Republic Hall to the Library, to mention a few. He is currently working on a project investigating photography as a person of interest. Visit his website for more! Nyani Quarmyne is a freelance photographer whose work centers largely on humanitarian, development and social justice themes. He is represented by Panos Pictures, and works around the world from a base in Germany. In his past lives Nyani has been a guitarist, pilot, technology entrepreneur and over-paid corporate consultant. None of these occupations gave him the sense of purpose he feels as a photographer. 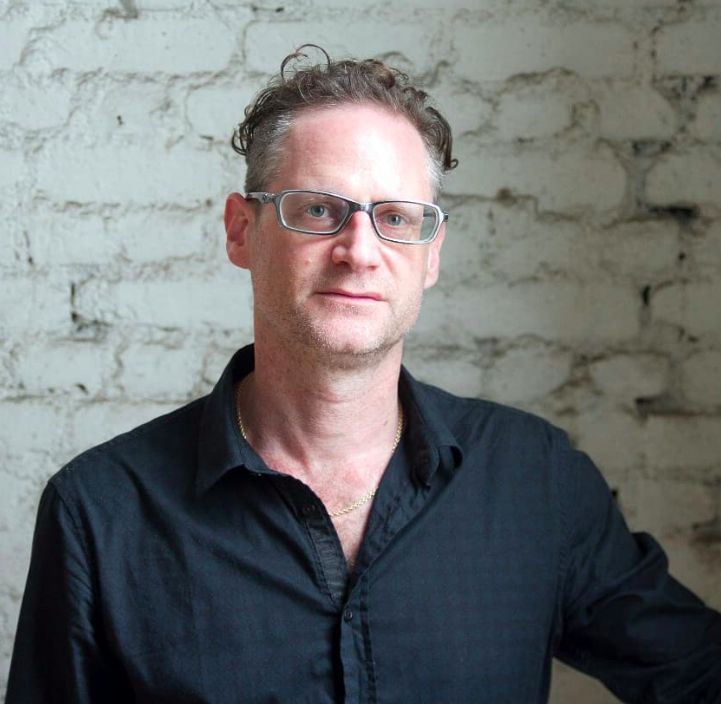 Jesse Weaver Shipley is an artist and ethnographer based in New York City. He works in multiple media—writing, film, photography—to examine the links between aesthetics and power in a variety of contexts. His art practice takes a conceptualist approach to the intimate details of people’s lives. He uses photography, video, and performance to tell stories of desire and trauma. He has spent many years wandering in New York, Accra, and London to understand the performance of culture from the ground up, in particular addressing a variety of themes including sports, arts, and political revolution. Elsie Amelia Tachie-Menson is a lens-based artist from Western Ghana who has just recently completed a Bachelor's in Environment and Development studies. This background influenced her to explore natural phenomena such as landscapes and seascapes. A self-taught photographer, she is one of the emerging documentary photographers in Ghana. Her abstract works usually aim to touch on very sensitive societal and environmental issues. She also loves exploring shadows, lines, shapes and lights. Along with other young and talented artists, she was short-listed in the prestigious Kuenheyia Prize for Contemporary Ghanaian Art in 2016, and placed second in the recently held Portraits Ghana Photo Prize held by Canon, the Royal Netherlands Embassy and Nuku Studio. Patrick Willocq (1969, France) lives and works between Paris, Hong Kong and Kinshasa. A self-taught photographer, Patrick had a midlife rebirth. It was a return trip to Congo (where he grew up) in 2009 that made him quit the professional activities he had been carrying out for 20 years in Asia, in order to devote himself fully to photography, a 30-year commitment. Patrick draws on his imagination the art of metamorphosing reality with poignant scenes in the image of his deep humanist convictions. With the subject entirely part of his creative process, he practices an aesthetic never devoid of ethics. In all his carefully composed performative stagings, entirely constructed in situ rather than created on Photoshop, he sends messages that pass through a participatory theatricality. His artistic practice is a hybrid between ethnology, sociology, performance, installation, video and photography. Since 2012, he has been nominated for or chosen as a finalist or winner of multiple prestigious international awards, including Sony World Photography Awards 2016, and the Leica Oskar Barnack Award 2014 and 2017. His works have been exhibited all over the world e.g. at Paris Photo, AIPAD New York, Photo Basel, Joburg Art Fair, the Tel Aviv Museum of Art and the Bibliothèque Nationale de France. It has also been featured in numerous TV broadcasts and publications. Bernadette Young (28) is a student of the Lensational Ghana programme. She studies Management and Secretaryship. She is a member of Rotaract Club and engages in community activities. She likes reading, cooking, hiking, watching movies, sports, and listening to music. She wants to learn how to use photography to give meaning to who she is, as well as to project women in all aspects of work. 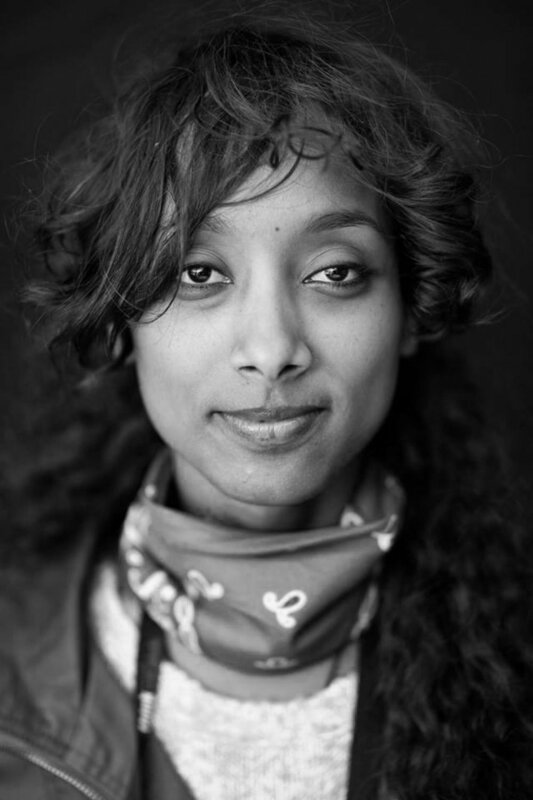 Born and raised in Ethiopia, Hilina Abebe is a self-taught documentary photographer. She combines her background in journalism and social work to explore issues in her story telling. Her first personal project was published by CNN in 2016, and her work was also published in ‘MFON: Women Photographers of the African Diaspora’. Abebe is an Eddie Adams Workshop XXIX Alum. In 2016, she participated in the New York Times Portfolio Review and the World Press Photo East Africa Masterclass. She was also nominated for the 2017 Joop Swart Masterclass. Leke Alabi-Isama is a street and documentary photographer from Nigeria. 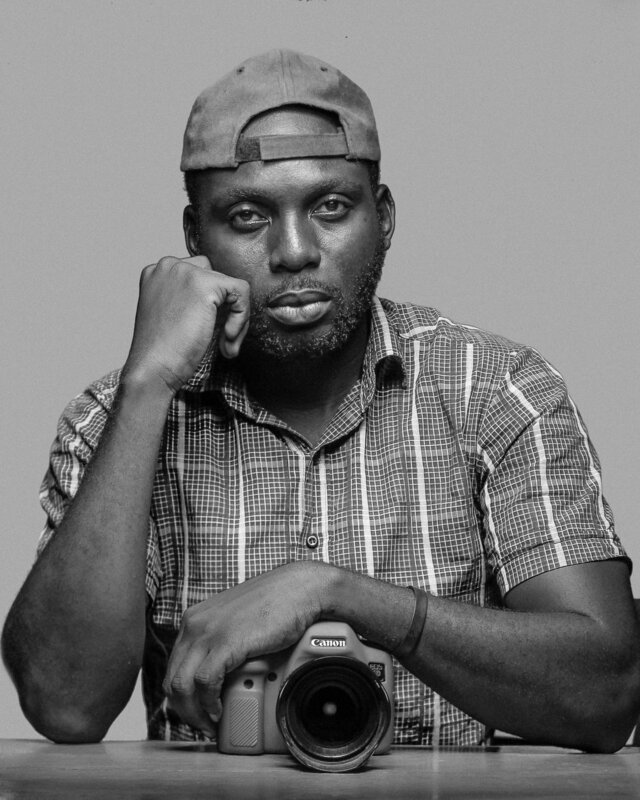 His work focuses on social issues in Nigeria and he hopes his images can connect the viewer with the everyday reality of life, provoke thoughts, raise questions and lend a voice in proffering long-lasting solutions to issues that affect humanity. He is also a certified Canon photography and film trainer across Africa under the Canon Miraisha program, an imaging skills acquisition program. Yassine Alaoui Ismaili, also know as Yoriyas, is a Casablanca-based photographer and performer. His work has been featured in The New York Times, The National Geographic, Vogue, The Guardian, and The Washington Post. He started playing chess when he was five years old, leading him to fall in love with mathematics. By the age of 16, the influence of hip-hop changed him completely and he became a breakdancer. While traveling around the world as a professional dancer for competitions, he discovered his passion for photography. The original blend of his North African heritage, chess and his love for dance lead him to unique methods of self-expression through photography. Yoriyas was awarded the Contemporary African Photography Prize 2018, Les nuits photographique Essaouira 2016 and World Street Photography Hamburg 2015. 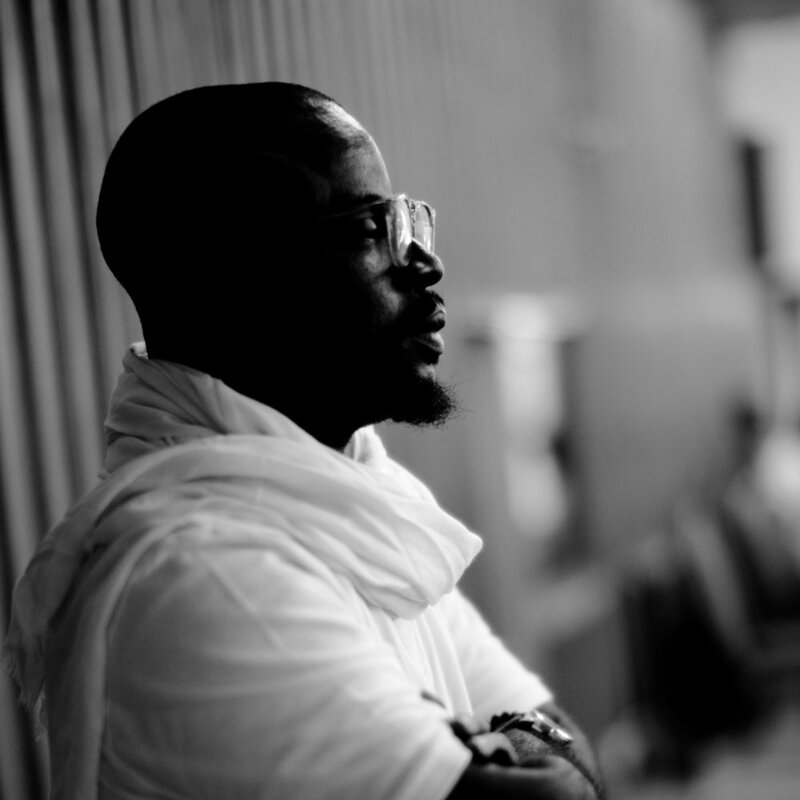 His work has been exhibited across the world, including at HERMÈS Foundation Paris, History Miami Museum, Festival of Contemporary Art Basel, 1-54 African Art Fair and Hassan Hajjaj Marrakech. Gulshan Khan is an independent photographer based in Johannesburg. A stringer for Agence France Presse, she has been published in The New York Times, The Guardian, and Le Monde, amongst others and has worked with various international organisations. Alumni of the Market Photo Workshop, she is a member of the APJD and Women Photograph. She is working on projects including a look at Islam and migration in South Africa. Her interests in identity, transition and belonging continues to direct her visual representations of the human condition and the world around her. Robert Nzaou-Kissolo is a Congolese photographer who lives between the cities of Cape Town, South Africa and Pointe Noire, Republic of Congo. Robert Nzaou-Kissolo left Brazzaville in 2001 as a refugee. After living in South Africa for almost a decade, and graduating with a Marketing Management diploma from the Cape Peninsula University of Technology, he returned to Congo. He documents aspects of daily life which strike him in powerful ways, working on a variety of projects. His work has been featured in various online and print publications such as Lemonde, Jeune Afrique, between10and5, African Digital Art, SA creatives, Afropunk, Brazzamag, and Sawubona - South African Airways in-flight magazine, amongst others. His work has also been exhibited in Congo Brazzaville, South Africa, Italy, Germany and soon USA and Ghana. Donwilson Odhiambo is an independent freelance photojournalist from Nairobi, Kenya. As a freelancer, he focuses on documenting the social, cultural, political and economic activities of day to day life in the Kibera slums. He got his first camera in 2008 from a friend, and later joined a photography organisation in Kibera to focus on visual storytelling. He switched careers to a professional photographer in 2014, preferring to work mostly as a local photographer. Mustafa Saeed (1989) is a Somali artist who lives and works in Hargeisa, the capital of the self-declared independent Republic of Somaliland. Mustafa’s work explores different mediums including documentary photography, graphics and sound. His work marries poetic symbolism with sociopolitical critique to explore issues of war, conflict and environment. In 2015 he was chosen for the Arab Documentary Program ADPP. His work has been published across different platforms, including BBC, and has been shown at AddisFotoFest, and Lumières d’Afriques in Paris. His work will also be at Unseen Amsterdam this September. Born in 1993 in the southern town of Hassi R’mel, Fethi Sahraoui (Algeria) is a self-taught social documentary photographer. He has recently graduated with a Masters in ‘American Civilization’ at the university in Mascara. He is a member of the 220 Collective. Ngadi Smart (Ivory Coast) is a West African visual artist and designer, with a practice in illustration and photography. Smart became particularly active in photography when she launched ‘The EyeMuse Project’ whilst living in Toronto. Smart photographed a series for the Ivorian edition of Nice Magazine, and her work is published in ‘MFON: Women Photographers of the African Diaspora’.